Still haven't put it down! Sketches from this past week. Once again, I uploaded a few of the playbacks. The atmospheres you create are astounding. I'm so envious (in the best way possible)! oh these are really great!! the lighting is so awesome. These are sweet man! I love the compositions and colours! Nice work bro!!! you're killing me! really gotta get my ds back from those kids next door - awesome stuff! these are awesome! :) the mood and lighting are great as with the previewspost! you make it really hard not to invest in a nintendo ds! very nice. So cool, I am jealous! Your univer is very interesting. Would like to see more! 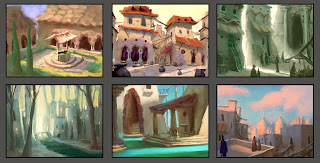 Are you working in studios for visual development? So cool. I'm gonna have to find a DS. Truly inspiring, Marco, with what you can do with such a simple app. Just starting to use Colors app myself on iTouch and it's addicting. Amazing stuff and thanks for posting. Your use of color is inspiring! Their beautiful - I just wanna dive in and start exploring!